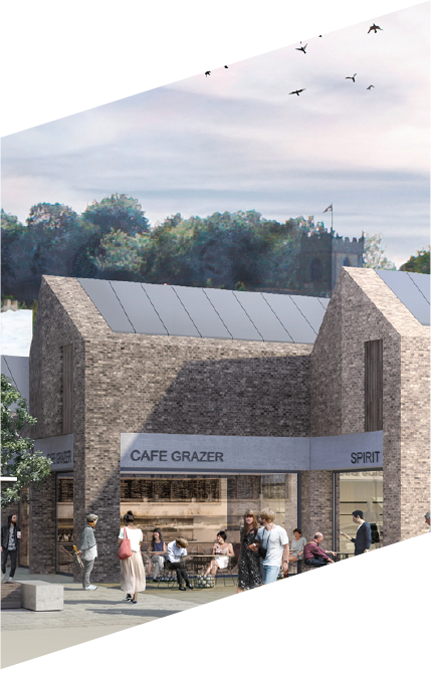 Due to complete early Summer 2019, significant progress has been made at The Riverwalk in Durham, with demolition of the north half of the former Gates Shopping Centre now complete. Owned by a fund managed by Clearbell Capital, the £30 million redevelopment of The Riverwalk will include a variety of restaurants, 23 refurbished shops, a six-screen Odeon cinema, and improved entrances and public realm areas, helping to enhance the city’s amenities both during the day and at night-time. 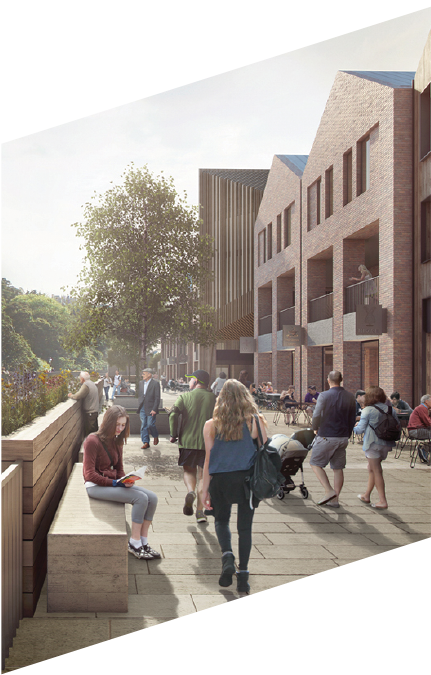 As part of the development, 253 student rooms will also be built. The steel frame and floors to the restaurant, cinema and the student accommodation buildings are currently being installed, along with the repaving of the terraces and lower ground floor areas. The next few months will also see the installation of the steel frames and floor slabs to the shopping centre completing, along with the student accommodation element of the development at first floor level. The remaining construction work to the student accommodation building will commence, followed by the construction of the building facades and the roof. The first restaurant at The Riverwalk, Thai River, opened its doors in late December 2016. Thai River and Odeon will be joined by Cosy Club and Turtle Bay with further announcements expected shortly. Clearbell Capital LLP is an independently-owned private equity real estate fund management and advisory business specialising in UK property investment, development and asset management. The firm is led by experienced real estate investment professionals with long established UK market expertise spanning multiple cycles and across various property types. The five-strong partnership comprises Manish Chande, Nick Berry, Sally Doyle-Linden, Rob Mills and Rob West.